Born in Spindale, North Carolina, Patsy grew up in Houston, Texas. Winner of many awards, she is a Signature Member of Oil Painters of America. She received an Award of Merit in the OPA Regional Show in 1994. She has also held memberships in other organizations such as Women Artist of the West, Colorado Heritage Fine Arts Guild, Texas Fine Arts Association of Austin, Texas, and others. She was the Director for the first South Central Regional Oil Painters of America Show held in Dallas, Texas 1993. Her work has been published in Southwest Art Magazine, 1996 and in volumes’ II and III of Artists of Texas catalogs. She has written art related articles for various publications. 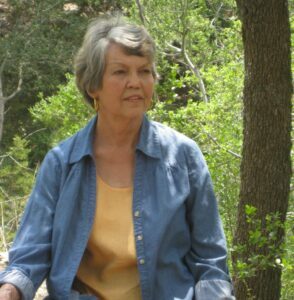 Patsy has been represented by Nanette Richardson Fine Art of San Antonio, Texas for 20 years.